As we approach the new date of the twice-postponed “2+2” dialogue between American and Indian cabinet officials, it is worth reflecting upon the current state of affairs of the U.S.-India strategic partnership. The 2005 civil nuclear agreement between the two countries was widely viewed as a pivotal moment for the beginning of close alignment. But recent events have been a mixed bag of positives and negatives, making it difficult to assess the future trajectory of the bilateral relationship. Initially after taking office, Donald Trump expressed affinity for India, and the Pentagon renamed the Pacific Command to the “ Indo-Pacific Command ,” giving greater centrality to India as a strategic partner and counter-balancer to China. New Delhi responded by increasing purchases of U.S. defense equipment and reviving the dormant “Quad” group with Japan, Australia, and the United States. The Question of the Decade: How Closely Will the US and India Align? It seems that the geopolitical question of the decade has become “how closely will India and the United States align?” For balance of power theorists, the appeal of U.S.-India engagement is obvious; it counter-balances China, and eliminates the need for the United States to rely on Pakistan while at the same time detaching India from Russia. 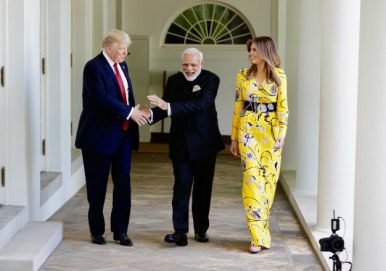 Even for the relationship-averse Trump administration, the idea of extensive (if non-institutionalized) cooperation with India seems appealing, especially as Washington does not have substantial commercial conflicts with Delhi. However, it remains to be seen whether both countries can clear the legal and bureaucratic brush that continues to obstruct progress. But “there will be no Chinese military personnel of any kind on Afghan soil at any time”, the embassy said in a fax to the South China Morning Post. The embassy said the Afghan government appreciated China’s assistance and that the countries’ militaries were working in close coordination, without giving further details. Sources close to the Chinese military earlier told the Post that China had funded and started building a training camp for Afghan troops in Afghanistan’s isolated Wakhan Corridor – a narrow strip of inhospitable and barely accessible land extending about 350km from the northern Afghan province of Badakhshan to China’s Muslim region of Xinjiang. It was one more sign of the times that, on the day before the start of the Muslim religious holiday Eid al-Adha, when Afghan President Ashraf Ghani was delivering a speech in what must be one of the most heavily-fortified city centers in the world, multiple mortar rounds struck Kabul’s diplomatic quarter. Ghani was offering the Taliban a ceasefire over the holidays. On this occasion, two attackers were eventually found and killed. The wars in Afghanistan that have endured for nearly thirty-nine years, during which time US troops have been involved in fighting for close to seventeen of them, would be surreal if the resulting bloodshed were not so very real. But for a joyous moment at long last, a three-day ceasefire did take effect in June. The political logjam behind this unending, unwinnable war appeared to be breaking up. According to The New York Times, the Trump administration agreed in July to accept a longstanding Taliban demand for direct talks between the US and the Taliban without the Afghan government’s participation. Through the past week, the US-led Afghan war against the Taliban transformed as a struggle over engaging with the Taliban in peace talks. The US successfully stalled the Russian format on Afghanistan slated for September 4 in Moscow by instructing President Ashraf Ghani to drop out of the event. The US was infuriated that the red line was breached when the Taliban accepted the Russian invitation to the meet in Moscow. The US intends to keep the monopoly over engaging the Taliban. Essentially, Washington must retain control over any peace process until the Taliban gets worn out and no longer insists on the pre-condition on vacation of US/NATO occupation. Many Afghans are ready for an end to conflict. Is the region? THIS week, to coincide with the Eid al-Adha, the Muslim feast celebrating the end of the hajj, Afghanistan’s president, Ashraf Ghani, announced a ceasefire in the government’s long, grim conflict with the insurgents of the Taliban. The Taliban appear to be open to a brief truce and talk of releasing prisoners, even if their sequestered leader, Haibatullah Akhunzada, has yet to give the nod. A fleeting ceasefire in June marking the end of Ramadan led to extraordinary scenes as the country erupted in joy. Taliban fighters with Kalashnikovs over their shoulder crossed frontlines to fraternise with government soldiers, eat ice cream and even take selfies with women. The theme of trade wars appears to have firmly taken centre-stage across the globe – from impacting international trade flows to sending shivers across international financial markets. Emerging market currencies as well as developed markets are starting to closely follow the vagaries of protectionism. And the mega-projects that were to be centered on the US – namely the Transpacific Partnership (TPP) as well as the Transatlantic Trade and Investment Partnership (TTIP) - have experienced reversals or were put on hold. But amid the gloom surrounding the globe with respect to protectionism there is a force in the works that could deliver a strong impetus to trade liberalization in the very region that currently is the main motor of economic growth in the global economy – the Pacific basin. What struck Wang Wen about Antarctica, beyond the brutality of the December cold, was the scale of U.S. operations in such an inhospitable environment and the American flag fluttering by the sign that marks the geographic South Pole. Observing the academic mission of hundreds of U.S. scientists in a region rich in resource potential, he was determined that China must catch up. The report Wang wrote this summer for the Chongyang Institute for Financial Studies at Renmin University of China in Beijing, where he’s executive dean, reflects China’s growing dilemma as it muscles its way into an international system it didn’t create. For the first time in its long history, China has in President Xi Jinping a leader with a truly global vision. So, inevitably, Beijing looks to the U.S., the sole superpower, for a yardstick as to what that requires—be it a blue water navy or more research stations in Antarctica. Most public discussion of China’s Belt and Road Initiative (BRI) tends to paint it as a coherent strategy of the Chinese Communist Party. One school argues that this strategy is largely economic in focus, the other major approach focuses on the political drivers. What both need to consider is that either way, the BRI is actually just a brand. It’s a marketing tool, a label applied with a sweeping generosity to a huge range of projects being undertaken by a vast array of actors – a large proportion of which existed well before President Xi Jinping announced his pet project in 2013. Why BRI as a clever branding exercise matters is what it tells us about what’s going on within China. What could and should the United States do if the Belt and Road Initiative collapses? More and more China Watchers, to include these two observers in Japan, are having increasing doubts about the Belt and Road Initiative (BRI), Beijing’s trillion-dollar wide-ranging infrastructure enterprise that spans across Asia, Africa, Europe, Oceania, and the Americas to elevate Chinese global economic and political standing. 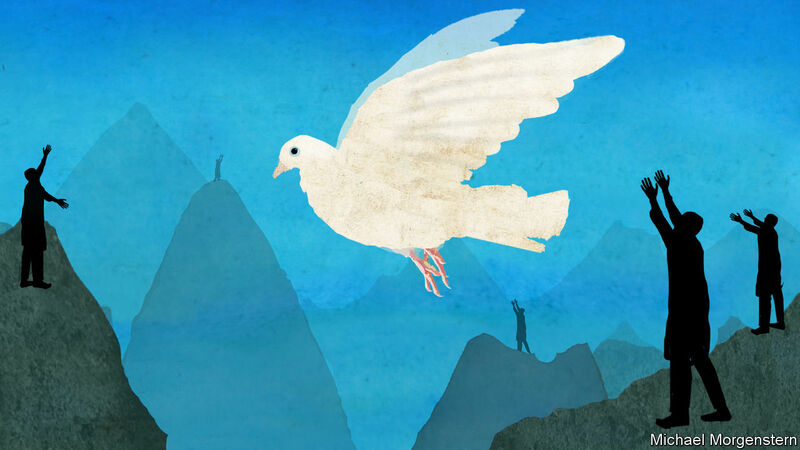 The grandiose national plan seeks to make a lot of money, acquire more resources, gain additional power, and expand influence to advance Beijing’s strategic ambitions of national rejuvenation (theChinese Dream) and ultimately global preeminence – or even better, dominance. So what if these pundits are correct and the possibly over-leveraged BRI continues to underperform and not deliver the promised returns, receive increasing political backlash(buyer’s remorse over crushing debt burdens), and eventually collapses? What are then the ensuing opportunities and challenges for America? 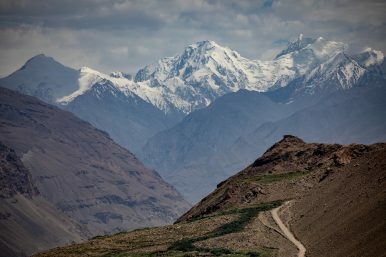 Sources speaking to the South China Morning Post’s Minnie Chan say that Beijing is building a training camp in Afghanistan’s Wakhan Corridor. According to one of the sources, Chan reported, when the camp is completed “China will send at least one battalion of troops, along with weapons and equipment, to be stationed there and provide training to their Afghan counterparts.” A battalion, Chan writes, typically has 500 or more troops. China’s interests in, and activities regarding, Afghanistan have been an increasingly hot topic as the war stretches toward its 17th year and China’s development ambitions reach deeper into South Asia. It was also to be expected because Beijing insisted on a condition that the DPP and President Tsai Ing-wen could not possibly entertain: to declare that Taiwan is part of the People’s Republic of China. What was uncertain in May 2016 was what punitive measures Beijing would put in place. Two years into Tsai’s presidency, the scope of Beijing’s moves against Taiwan has become more evident. Some were expected early on, for example, the exclusion of Taiwan from the World Health Organisation’s annual World Health Assembly or restricting tourists going to Taiwan. Increased activity by the People’s Liberation Armyin the Taiwan Strait and around Taiwan belongs to the same category. Other measures were less expected. In the second half of 2017, Chinese authorities began to demand that foreign corporations start to treat Taiwan explicitly as part of China. French President Emmanuel Macron has long wished for greater European military cooperation. This week, he continued the drive, suggesting the bloc can no longer rely on American military support to protect members against outside threats. In a speech to relaunch his political agenda Monday, the president explained, “It is up to us to guarantee European security” and said he would “launch an exhaustive review” of security relations with “all Europe's partners, which includes Russia.” After decades of underinvestment, Macron is spearheading a push to revamp France’s military, returning it to its historical position as one of the most well-funded and potent forces in the world. 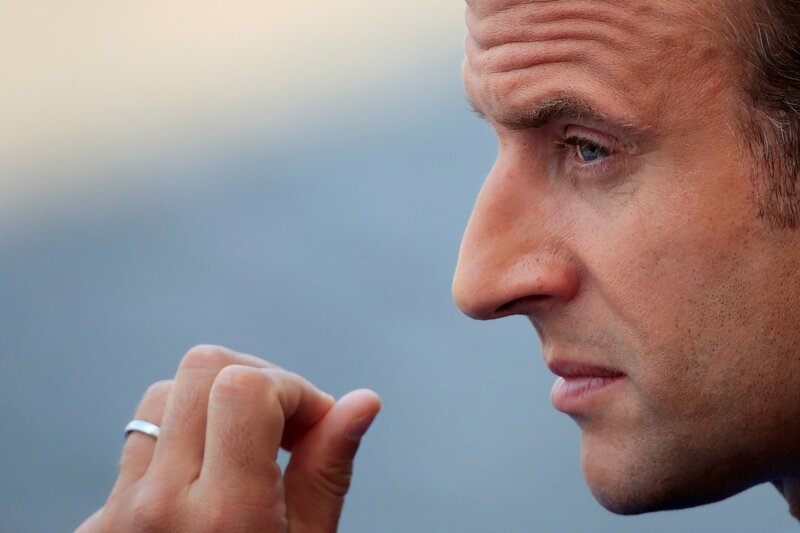 With Europe facing an emboldened Russia and the Western allies battling Islamist threats across Africa and the Middle East, France needs its bite back. Today’s oil markets look a lot like New England weather—poised to change in the blink of an eye, or maybe more aptly, on the next set of released data. Earlier this year, the International Energy Agency (IEA) first predicted that U.S. production growth (which continues an impressive expansion despite a recent slowdown) could single-handedly cover increases in global demand. More recently, reacting to a spate of (planned and unplanned) supply curtailments, including impending sanctions and robust economic growth, the storyline changed to one of needing more prompt barrels to avoid a future price spike. The Organization for Petroleum Exporting Countries’ (OPEC) summer meetingproduced an agreement to keep oil markets adequately supplied even as Venezuelan, Nigerian, and Libyan output seemed in peril. Canadian and U.S. supplies were impacted by logistics and infrastructure constraints, and the North Sea dealt with union contract disputes. Skill development is a critical part of preparing for work in the future, even for jobs that do not exist yet. A child who cannot read, write or perform at least simple mathematics with proficiency will of course be poorly equipped as an adult to excel in the technology-driven industries of the future. Next week, two very different – but powerful – groups will be grappling with the ways in which the global learning crisis is in fact a skills crisis threatening the prospects of current generations and those to come. In Geneva at the Global Shapers Annual Summit, about 400 “change-makers” under the age of 30 will be exchanging ways to address the needs of their communities while striving to have a global impact. Just days later, education ministers from G20 countries will meet in Mendoza, where the question on everyone’s mind will be: how do we prepare our children and young people for the future? Addressing the challenges Europe faces will demand the sustained implementation of smart, forward-looking policies, carried out by the EU’s core institutions. Yet, following a five-year period of unprecedented political fragmentation in the EU, the outlook for the functionality of these institutions appears grim. August is always a good time for taking stock. Between the rush of summer activity and the beginning of the new “school year,” this month’s lull offers a moment for reflection on where matters in Europe stand – and where they are headed. The European Union, and its headquarters in Brussels, is no exception, particularly ahead of a year of transitions. But amid speculation over the coming challenges and changes, the one new appointment that could make or break the EU over the next five years, that of the European Council president, has been completely overlooked. Since Samuel Huntington’s Clash of Civilizations has been contrasted with my own End of History in countless introductory International Relations classes over the past two decades, I might as well begin by tackling at the outset the issue of how we’re doing vis-à-vis one another. At the moment, it looks like Huntington is winning. The world today is not converging around liberal democratic government, as it seemed to be for more than a generation. The Third Wave of democratization that Huntington himself observed progressed in the period from the mid-1970s to the mid-2000s from about 35 electoral states to perhaps 115 by 2008. But since then the wave has gone into reverse, what Larry Diamond has labeled a democratic recession. Not only has the number of democracies declined somewhat, but important qualitative changes have taken place. Big authoritarian powers like Russia and China have grown self-confident and aggressive. 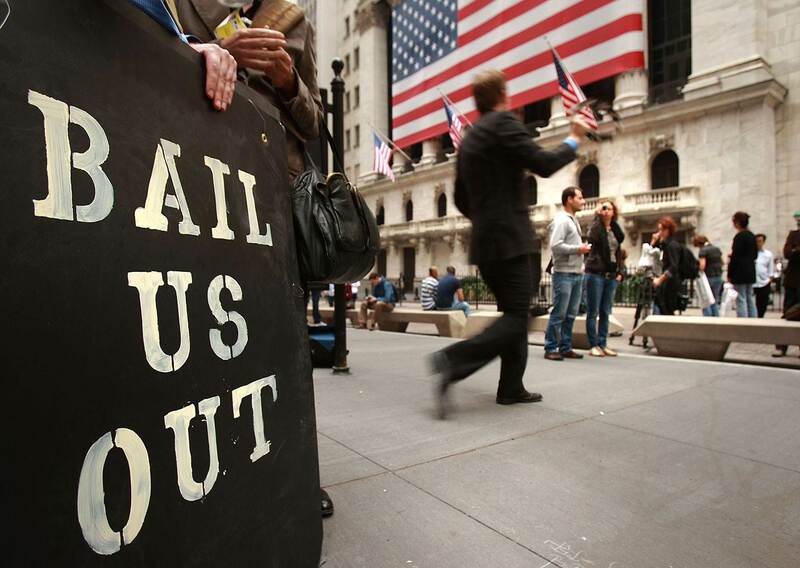 Meanwhile, existing liberal democracies have lost much of their appeal after the financial crises in America and the Eurozone during the 2000s, and are suffering from populist uprisings that threaten the liberal pillar of their political systems. We summarized DoD and Government Accountability Office audit reports issued from August 1, 2015, through July 31, 2016, that contained findings on DoD cybersecurity weaknesses. This report supports the DoD Office of Inspector General’s response to the requirements of Public Law 113-283, section 3555, “Federal Information Security Modernization Act of 2014,” December 18, 2014. During the reporting period, the DoD and the Government Accountability Office issued 21 unclassified reports that addressed a wide range of cybersecurity weaknesses within the DoD systems and networks. Reports issued during the reporting period most frequently cited cybersecurity weaknesses in the categories of risk management, identity and access management, security and privacy training, contractor systems, and configuration management. The unprecedented technological transformation taking place today — a period of exponential change labelled the Fourth Industrial Revolution — is not isolated from geopolitical affairs. Indeed, geopolitical competition, especially among the world’s powers, is a major driver of technological disruption; in turn, this disruption is affecting the geopolitical landscape. Technology has long been an ingredient in how states gain, use or lose power. But today, three interconnected elements — innovation, talent and resilience — increasingly determine whether states are well-positioned to advance their own security and wellbeing. The Global Innovation Index 2018 provides detailed metrics about the innovation performance of 126 countries and economies around the world. Its 80 indicators explore a broad vision of innovation, including political environment, education, infrastructure and business sophistication. The GII 2018 analyses the energy innovation landscape of the next decade and identifies possible breakthroughs in fields such as energy production, storage, distribution, and consumption. It also looks at how breakthrough innovation occurs at the grassroots level and describes how small-scale renewable systems are on the rise. Artificial intelligence (AI) technologies advanced rapidly over the past several years. Governments around the world responded by developing AI strategies. France released its national AI strategy in March 2018, emphasising research funds, ethical issues, and inequality. China stated a goal of being the top AI country by 2030. The EU, Canada, Japan, the Obama administration, the Trump administration, and many others have put forth their own plans (Sutton 2018). Pessimistic views of the impact of AI on society are widespread. Elon Musk, Stephen Hawking, Bill Gates, and others warn that rapid advances in AI could transform society for the worse. More optimistically, AI could enhance productivity so dramatically that people have plenty of income and little unpleasant work to do (Stevenson 2018). Regardless of whether one adopts a pessimistic or optimistic view, policy will shape how AI affects society. After a decade of flat productivity, the arrival of the Fourth Industrial Revolution (4IR) is expected to create up to $3.7 trillion in value to global manufacturing. A few years back, experts noted that the changes associated with the 4IR would come at an unprecedented rate yielding incredible results for those who truly embraced them. Still, the hockey stick of benefits has not kicked in yet – while all companies are making efforts to adopt technology, most of the production industry (~70%) remains in pilot purgatory (where technology pilots last for extended periods of time, and companies do not take the final step of scaling up viable technologies). Less than 30% of manufacturing companies are actively rolling out Fourth Industrial Revolution technologies at scale. Reports of Russian disinformation in the news have triggered a combination of hyperbole and hysteria from the western world, as if such measures reflect a deviation from the tradition of Russian statecraft. In March 2017, the European People’s Party gathered in Malta to discuss why they believe Russian disinformation is the greatest threat to freedom and democracy. Earlier this year, a report from Washington-based think tank the Atlantic Council recommended an increase in federal funding that supports investigative journalism to counter false narratives of foreign origin in the media. The proposal to create a U.S. Space Force has cyber professionals wondering about the government’s national security priorities.While spaceborne threats are very real — some of which cannot be suitably described in a public forum — the threats posed in cyberspace have been all too real for over a decade, and include everything from nuisance hacks by nation-states, to the weaponization of social media, to establishing beachheads on our nation’s electric grid, or the internet routers in your own home. Since 2009, incremental improvements have been made to the nation’s ability to operate in cyberspace during this period. The establishment of U.S. Cyber Command (USCYBERCOM) — first subordinate to U.S. Strategic Command, and then elevated to a Unified Combatant Command (UCC) — and the formation of the 133 teams that comprise the Cyber Mission Force (CMF) are chief amongst them. There’s a saying that John McCain never saw a war he didn’t like. That is only partly true. He understood the price of war more than most. What McCain believed was that the United States, rightly or wrongly, had a strategic and moral obligation to use its power to impose liberal democratic principles. He proselytized war, that heavy instrument of human violence, because he believed it was the best way to end tyranny and its associated human rights abuses. His voting record on the conflicts in Iraq, Afghanistan and Libya, to name just a few, attests to this belief. How a unit prepares to execute its mission directly affects the battle outcome. The OPFOR has learned this and devotes most of its available time preparing for battle, not planning. Once the operations order is issued, the preparation phase for combat begins. The regimental commander gives everybody a ten minute break; then all commanders return and backbrief him, which assures the commander that all subordinate commanders clearly understand what he expects them to do and achieve, when he expects them to do it, and where he expects them to do it. In short, he checks to ensure all subordinate commanders understand his intent. The OPFOR regimental commander (alternately the 1st and 2ndSquadron commanders), the regimental staff, and motorized rifle battalion commanders set conditions for effective employment of the regimental combined-arms team. Their ability to do it is a function of their mastery of the art of battle command, as we now call it. Indeed, the regiment can fight no better than the regimental commander’s ability to see the terrain, see the enemy, see himself, and see the battle unfold in his mind. Granted, the ability to inspire and motivate soldiers, the ability to impose his will, tenacity, compassion, patience, and so forth are also important. But these are elements of effective leadership, not tactical competence.